Sun., Sept. 10, 2017, 10:53 a.m.
KARACHI, Pakistan – Thousands of supporters of Pakistan’s main Islamic Jamaat-e-Islami party have gathered in Karachi to protest Myanmar’s treatment of its Rohingya Muslim minority. Another Islamic party, Jamiat Ulema-e-Islam, held a rally in northwestern city of Peshawar in support of the Rohingya Muslims. JUI leader Jaleel Khan condemned the “atrocities” committed against Muslims in Myanmar. 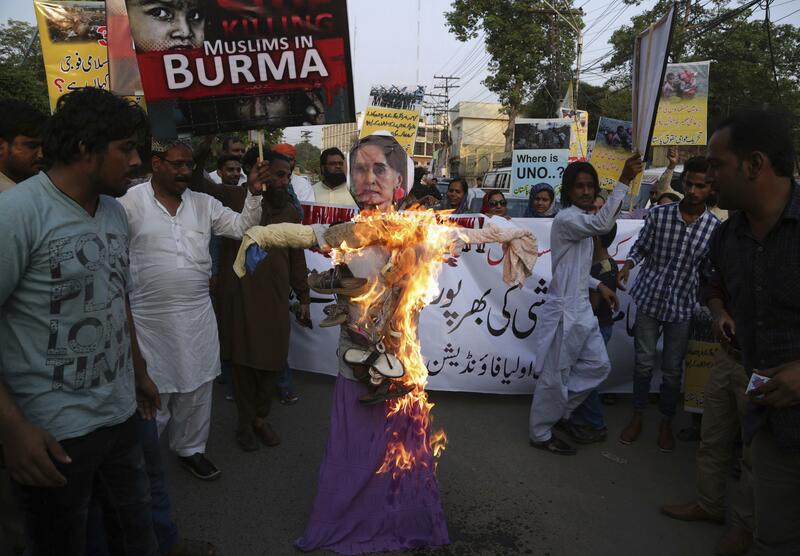 The rallies come a day after Pakistan’s Foreign Ministry summoned Myanmar’s ambassador to protest the violence against Rohingya Muslims. Published: Sept. 10, 2017, 10:53 a.m.